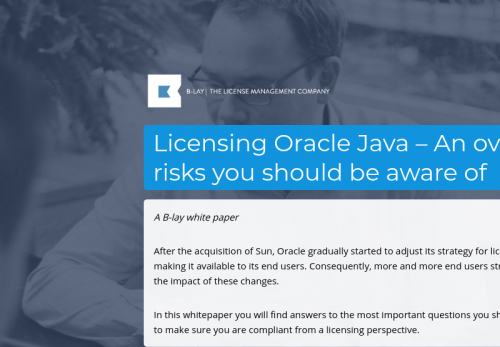 After the acquisition of Sun, Oracle gradually started to adjust its strategy for licensing Java and making it available to its end users. Consequently, more and more end users struggle to assess the impact of these changes. In this whitepaper you will find answers to the most important questions you should ask yourself to make sure you are compliant from a licensing perspective.